Celebrity PA Author, Mark Bego, will be at the L.A. Times Festival of Books on Sunday, April 21, from 11:00AM to 1:00PM. 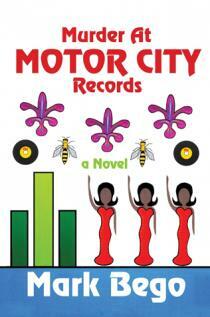 Murder at Motor City Records marks Mr. Bego's 60th book to date. A Kickstarter project has been started to help fund a movie version of PA Author Marvin Bartlett's true story of Jarrett Mynear. 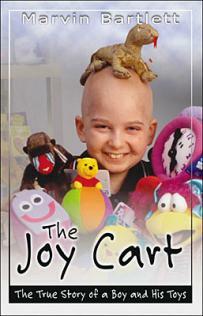 The Joy Cart tells the true story of how an extraordinary boy captivated crowds with his courage, faith and humor in the face of adversity. Instead of feeling sorry for himself, Jarrett got busy helping and inspiring others. PA Author, Judith Anne Cross, is featured on CBS Boston under Boston's Best 5 Must-Read Books by Boston Authors. The other four novels recognized are The Scarlet Letter by Nathaniel Hawthorne, The Eden Express by Mark Vonnegut, M.D., Little Women by Louisa May Alcott, and Mystic River by Dennis Lehane. PA Author, Dr. Edward Boyd, is recognized by Jay Parini. "Dr. Edward Boyd has a voice of his own, a particular angle of vision, and he never fails to engage the reader." PA Author, Stephanie Y. Garrett, contacted by Paramount for a potential movie deal. Stephanie Y. Garret, author of "Bitter" (Until My Dying Day), was contacted by Paramount for a potential movie and marketing deal. 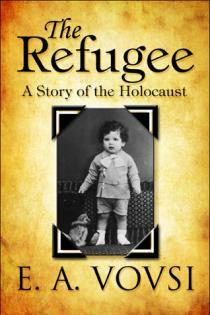 PA Author Accepted into Holocasut Museum in Washington, D.C.
E. A. Vovsi, author of The Refugee: A Story of the Holocaust, was accepted into the United States Holocaust Memorial Museum in Washington, D.C.
Gaspar Vetrano, author of I Make No Apology, was inducted into the American Gangster Museum in New York City. Jim Woods, author of The Lion Killer and Honk if You Love Geese and Other Hunting Stories, won an honorable mention in Aaron Lazar's Upstaged contest with "For Better or Worse." Upstaged contestants submitted stories to In the Library Reviews (www.inthelibraryreview.com) about the funniest thing that happened to them during a theatrical performance­--behind the scenes, on stage, or in the audience. The competition was judged in January 2006 by New York writer S.W. Vaughn. Aaron Lazar is the author of Upstaged: A Gus LeGarde Mystery. He extends his gratitude to everyone who participated in the contest. March 2, 2006, 8-10PM: Lou Gentile, of the vastly popular The Lou Gentile Show, will interview PublishAmerica’s Randy R. Ervin, author of The House on Church Street­-the delightfully spooky, true story of Ervin’s supernatural experiences in an eerie Michigan house. Lou Gentile has been featured on shows such as Unsolved Mysteries, Fox Family Channel's Scariest Places on Earth, The Discovery Channel, and MTV's Fear. Over 900,000 listeners regularly tune into his radio show. For more information and to listen to the interview, please visit www.lougentile.com. Lt. Williams on the Color Front, a novel by PublishAmerica author, Chris Bell, has been nominated in the fiction category for the 9th Annual Library of Virginia Literary Awards. The Literary Awards honor Virginia authors, their publishers, and their writings. To learn more about the awards, visit www.lva.lib.va.us. Adrienne Swearingen, author of Cinderella, You Lied to Me and the recently-released When the Vow Breaks! Stand, will hold a book signing on the Radio One "One Love Gospel Cruise." The cruise will disembark from Miami, Florida on February 23, 2006, and will return on February 27. NBC’s "Today in Wyoming" interviewed PA author Ken Kreckel regarding his book, Rocked By Murder—a provocative mystery involving a geology professor who attempts to solve a colleague’s bizarre murder. For the complete interview, go to: http://www.black-duck.com/KenInterview2.html. J.P. Miller, author of Over the River and Through the Woods: A Journey with Harriet Tubman, has been invited to speak with nationally acclaimed television and radio talk show host Martha Zoller of The Martha Zoller Talk Radio Show. "The interview is in celebration of African American History Month and will focus on J.P.s vow to keep the history of African Americans alive everyday!" To hear the interview, go to www.wdun.com, or tune into WDUN AM 550. Mike Filippello, author of Miratambo Moonsong, will be the featured artist for either the February or March 2006 edition of Decor Magazine. Mr. Filippello's painting, "Autumn Skies Over Kensington Knolls," will also be featured in the magazine. Jina Panebianco, a film producer from Los Angeles, has hired a writer by the name of Naomi F. Chippendale, from Vancouver, British Columbia, Canada, to adapt the book Silent Duets by Jillann Olvera into a screenplay. The first draft was anticipated in early January 2006. Jennifer Robins, author of What Happened to Anna? 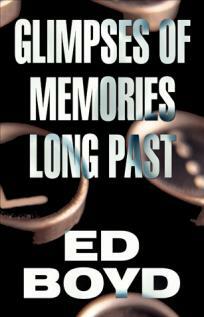 and Ghostly Antiques: A Novel about Psychometry, was interviewed on Coast to Coast AM by Ian Punnett. Coast to Coast AM is the #1 night show on hundreds of radio stations, nationwide, and the interviews often touch on topics such as the spiritual and paranormal, as well as astrology, and many others. Ms. Robins spent more than half an hour in her interview with Mr. Punnett, which aired at 1:30 a.m. on Sunday, January 15, 2006, speaking about Ghostly Antiques. "I felt like I was there, again--visiting my grandparents up on Rockhouse Holler! Ms. Preece's . . . attention to detail is wonderful. What specifically shines through in this book is the love and joy, lived and shared, of good people . . . it is a book with a lot of heart. And to me, that is one of the most important qualities any good book has to have. . . . Kudos to Ms. Preece." Shutta Crum's books can be found at these publishers: Clarion; Knopf; Albert Whitman and Company; Stoddart Kids; and Fitzhenry and Whiteside Limited. Bill Hendrickson, author of You Can Survive the Corporate Culture, appeared on the late night Joey Reynolds Show on WOR, New York. The 45-minute interview was filmed in the early morning of December 7, 2005, and broadcast early the next day. Hendrickson was also on the show in September, supporting his wife's interview for her own book. Mike McCrary, the focus of Jerry Pivec's Because They Said I Couldn't: Motor Man, The Michael McCrary Story, appeared in the Morning Edition of WJZ Baltimore's Eyewitness News on December 5, 2005. In the "Coffee with . . ." segment of the show, McCrary told interviewers that the book is for kids, and it shows how he came to believe in himself and his abilities over his lifetime. The former Raven, when asked about the overriding theme of Pivec's book, said, "Stay focused. . . . Your heart's gonna lead you to success." Nadia Brown, author of Unscrambled Eggs, has received notification from Andrew Angus of Muses Review that some of her poetry has been nominated for the Best Poem of the Year 2005 award. The Muses Review can be found at http://www.musesreview.org. Marina Radovanovic, author of The Noble's Pauper Children, has been a guest at two events sponsored by ethics organizations. The first event, sponsored by the Ethics Practitioners Association of Canada (EPAC), featured Colonel David Hiscock of the Salvation Army. Radovanovic formally presented her book to Col. Hiscock, thanking him for helping her father when they were children. Radovanovic has also been invited to speak at a second meeting, the Roundtable Toronto Ethics meeting of April 2006. Toonz Animation in India has confirmed the creation of a 1 minute animated pilot based on Jim Kochanoff's novel, Men of Extreme Action. Kochanoff hopes to have further news in six months of a broadcaster sale as a series when the pilot is finished. Excerpts of the eight women's stories published in Joyce S. Anderson's Courage in High Heels are being printed in The Atlantic County Women's Journal. 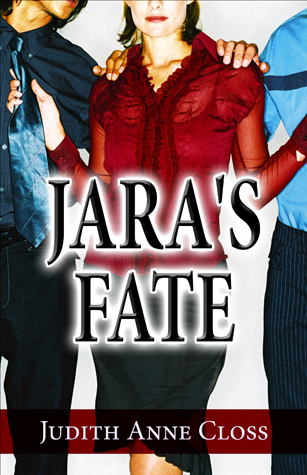 The first story appeared in the April/May 2005 issue. The editor of The Journal, Geoffrey Tyrrell, describes his publication as one "dedicated to education" that reaches 44,000 readers in the Cape May and Atlantic County region. Mr. Larry Wetherholt, author of A One Legged Man's Memoirs, will be featured on WAND telivision (An NBC AFFILIATE, in Decatur, Illinois--local channel 10) at noon on Sunday, December 4th. He will be interviewed by Mr. Ken Frye, in a program which is based on interesting people and their contribution to various aspects of culture in the area. The style of the program is one of question-and-answer interviews, as well as visuals of the various contributions. Since Mr. Wetherholt is a professional artist/sculptor, and now author, and is fairly well known in the area, Mr. Frye approached Mr. Wetherholt and asked for permission to do a half-hour show about him and his work. Mr. Wetherholt will be mentioning the completion of his book, A One Legged Man's Memoirs, as well as the production of his upcoming book, Mogollon Run. In a half hour program exclusively about him and his work, Mr. Wetherholt believes that he shall have ample opportunities to do so. Kelly has been requested by Julia Hankin from the Afternoon Show on BBC Radio in Newcastle. The Cato Institute has requested a review copy of America's Denouement by Brian Strobel. In the Heart of the Closet by HD Hatcher has been nominated for a 2006 Stonewall Award for GLBTQ literature. F.T. Young was interviewed on ESPN Radio regarding his book, College, Athletics and You. The film rights to Sherwood Forest by Lisa Croll Di Dio have been optioned by producer Nancy Moonves of Lighten Up Productions. Master by Bridget Morrow has won the 2005 Special Genre in Fiction Award given by The Los Angeles Black Book Expo. The goal of the LABBE book award is to provide increased attention to the literary achievements of African and African American centered publishers, writers, authors, poets and editors. Richard C. Wagner, author of Little League Heaven: The Legend of Odie Sweeny, is pleased to announce that the Little League headquarters in Williamsport, Pa., agreed to purchase his book to sell in the store at the headquarters and on the league's website. Dave Fogel, merchandising manager for Little League headquarters, said they would "most definitely" stock the book. Additionally, The Director of the Bay City, Texas Chamber of Commerce notified Richard C. Wagner, author of the newly released "Little League Heaven: The Legend of Odie Sweeny" that the Chamber will endorse the book and purchase dozens of copies of it. Chamber Director Mitch Thames said the organization will give the book as an award to speakers and other honorees instead of presenting them with trophies. The Chamber will also use the book for promotional purposes and buy the book from a local bookstore, "The Mustard Seed" in Bay City. Additionally 15 stores, including Barnes & Nobles, Borders, and other large outlets have committed to buy the book near Wagner's present residence in Raleigh, N.C. When author Richard C. Wagner asked the Nolan Ryan Foundation in Round Rock, Texas, for an endorsement of his book Little League Heaven: The Legend of Odie Sweeny, a spokeswoman said to send a copy of the book to their organization for consideration. Flatwoods and Lighterknots---James Elders's rich, candid cameo into post-World War II southern culture---is one of PublishAmerica's Top-Ten Best-Selling Books for the month of February; it is the story of America's technological---and societal---response to the advent of peace, as chronicled through the poignant narrative of a young boy. Congratulations to James Elders! Author Raymond De Rycker sold 100 copies of his book How Earnings Suddenly Soared at Gimbel, Avon, Seagram, and Lee via a promotional newsletter and book review in his hometown of Blankenberge, Belgium. The proceeds from the sales totalled €1,250.00 (approximately $1,490.50) and were donated to the Mayor's Fund for Child Cancer Patients. The American Authors’ Association awarded Anthony Liccione’s recently released anthology Back Words and Forward the 2005 Silver Medal Award for Poetry. Backwards and Forward is a collection of poems that lyrically explores serendipity. Richard F. Fleck, author of Spirit Mound: A Novel of Ancient Ireland Newgrange, will be featured at the Celtic Tavern in Denver, Colorado with Irish actor, radio personality and author Malachy McCourt. "The Colorado Center for the Book, in partnership with Stories on Stage and Denver’s Celtic Tavern, is pleased to welcome" Mr. McCourt, as well as Tom Quinn Kumpf and Mr. Fleck, for an evening "that celebrates Irish culture" on Friday, April 7, 2006.
talkfm.com), will feature PA author Aleja Bennet. Ms. Bennett will discuss her book, Only the Strong Can Survive, which features poetry about a young woman who kept years of abuse secret. The show will air on February 20, 2006 at 7:00 p.m.
Waldenbooks, in association with the Gulfview Square Mall of Port Richey, FL, is sponsoring a March 18th -19th book signing event for a collection of PublishAmerica authors—including D’Maria Scaglione, whose fairytale A Unique Bunny has received voluminous fanfare from both children & adults. A Unique Bunny is the fantastical adventure of a young rabbit beset by coyotes, renegades, love, absolution, and unexpected lessons in tolerance. A recent reviewer wrote that Scaglione’s story is "...the most poignant, utterly delicious, charming book I have read... [P]eople of all ages will enjoy it...!!!" To see other PA authors featured in this event, and for more information, click here (Adobe Acrobat Reader required). J. P. Miller is happy to announce that "Over the River and Through the Woods-A Journey with Harriet Tubman" will be featured as book of the month for February 2006 on the Intranet site for CNN. Her feature will include an excerpt of the book, book review, interview questions and photo. The Intranet site can only be accessed by CNN personnel and affiliates. Thank you CNN!!! Michele Gigliotti, author of Soul Quest and Second Skin, is being considered for a guest appearance on The Oprah Winfrey Show. Ms. Gigliotti has, in the past, been awarded Florida Humanities Teacher of the Year and had her curriculum published for Broward County Florida. She also teaches high school English and college Sociology. Seedlings, a collection of writings written by PublishAmerica author Aaron Paul Lazar (Double Forté: A Gus LeGarde Mystery), has been picked up by Futures Mystery Anthology Magazine. The Seedlings pieces were originally written for Mr. Lazar's column The Back Room, A Cozy Retreat for Writers & Readers, and "are little "seeds of ideas" that sprouted in my brain while driving to work or before falling asleep. Not enough to flesh out into novels, by any means, but insistent enough to require capturing, all the same." PA Author to Be on Discovery Channel! Randy R. Ervin, author of The House on Church Street, has spent several hours in telephone interviews with various Discovery Channel personalities. In February 2006, Mr. Ervin expects camera crews to his hometown in Michigan, so that he and various others involved in his book may be interviewed for the program True Hauntings. First Lady Laura Bush has acknowledged receipt of Jeffrey W. Bennett's novel Under the Lontar Palm. She sent an autographed card with her appreciation of his book and prayers. Barbara Watkins, author of Behind the Red Door (pictured) and Thorns of an Innocent Soul (still in production), received a short note from Anne Rice, wishing her ongoing success, and "all blessings always." The city of Los Gatos, California has chosen Dear Voices by Lea Fredericks Frey for the Los Gatos Town Wide Read of 2005. The entire city of 30,000 plus, was urged to read the book, which was placed in various coffee shops around the town. The town library ordered about 40 copies and kept them circulating through the town all year long. In addition, Ms. Frey was invited by about 25 organizations and book clubs to talk to them about the book. Ms. Frey is gratified by her book's success. A review copy of Gakeva Gluntok's New School by Gareth Woodberry has been requested by The Times of London's literary editor, for inclusion in their educational supplement. Mr. Woodberry wrote a children's fiction book. James Stevens' novel, Coal Cracker Blues (published in October 2003), has been adapted into a screenplay. Mike Kacey, screenwriter and president of Culver City based Anthracite Films, is currently shopping the screenplay around Hollywood. Patty Morton, author of Tinsie's Story: A Quilt's Reflections, has been requested as a class reader by a 6th grade Mississippi teacher. Mrs. Leslie Randall, of Pontotoc Junior High, has linked Tinsie's Story to the state's educational framework in areas such as Art, Vocabulary, and Social Studies. Mrs. Randall is excited about the book, as it revolves around families and multiple generations. The teacher also mentioned that, with so many children today being from broken or combined family homes, children often know nothing about family heirlooms. Mrs. Randall plans to begin reading Tinsie's Story to her class in March of 2006, with a month-long reading and activity lesson. Thomas Fortenberry, acclaimed literary critic for MindFire Literary Arts Journal, found the "musical" quality of Aaron Lazar's novel, Double Forté: A Gus LeGarde Mystery, long-lasting, memorable, and moving. In his review of Mr. Lazar's book (a copy of which can be found in the PA online bookstore), Fortenberry remarks, "Reading Lazar’s books are like listening to a symphony. . . . This is rather fantastic to experience, like being immersed for the first time in the sea of an opera." Mr. Fortenberry goes on to laud the "calm, glowing quietude" of Mr. Lazar's latest contribution to the literary industry. "Lazar delivers a masterful display of heartfelt emotions, need, and compassion," Fortenberry says. "That he wraps this present in a thrilling, mysterious package for us just makes it all the more enjoyable." Congratulations! Just a short note to congratulate you on your book, "The Poet Within" being awarded "Poetry Book of the Year" by the American Authors Association. Your creativity and talent are of great value to the City of Elk Grove. Info-Secte/Cult has elected to include Peter Olsson's Malignant Pied Pipers of Our Time in their collection of Cult related material. Founded in 1980, Info-Secte/Cult educates the public about cults and new religious movements. It remains the only organization of its type in Canada. Selected for inclusion in the group's collection, Mr. Olsson's book will be featured on their website and publicized in Info-Secte/Cult's bi-monthly mailings. Mike Kropveld, Executive Director of Info-Secte/Cult, stated that Malignant Pied Pipers of our Time "will be an asset to our documentation centre." In honor of Aaron Paul Lazar's latest release of his theatrical mystery, Upstaged, he and In the Library Reviews are co-hosting a contest. Entering the contest is easy: just send us a story about the funniest thing to ever happen to you, whether behind the scenes as a stagehand, an actor, or even an audience member. The funniest entry will win. Contest will run from now until December 31, 2005. Winners will be announced January 15, 2006. Send all entries to inthelibraryreviews@gmail.com. Make sure the subject line reads "UPSTAGED CONTEST ENTRY". several books on the topics of aviation and aeronautics is considering doing a review on Space: What Now? : The Past, Present, and Possible Futures of Activities in Space by Tom Hill. AARP (American Association for Retired Persons) is reviewing Be Aware of the Dog: Protecting Yourself from a Fatal Dog Attack by Frank Newkirk. Timothy Edward Jones, author of European Confession, was contacted by Richard Welsh, producer for the UK television production company "Hideous Productions". Mr. Welsh requested an interview for a BBC documentary on the life of American Gonzo writer Hunter S. Thompson. The program features those who knew him best and were inspired by him. The documentary is in the production stage. Catherine Puro, author of An Autobiography of a Hopeless Romantic, was a runner-up in the 2004 Song of the Year Contest sponsored by VH-1 and Save the Music Foundation for her poem entitled Hypnotized. ForewordMagazine's BOTYA program is more about partnership than prizes, and collaboration than competition. It reflects the incredible teamwork of scores of gifted authors and dedicated publishing house representatives, and 100 thoughtful, experienced, and insightful judges, all of whom are on the daily frontlines of making a difference in the world by putting good books into the hands of appreciative readers. A list of all the finalists can be found at their website. Poet S.M. Thompson's lilting anthology, Rock Me, received "best wishes" from the Prince of Wales and the Duchess of Cornwall, who sent written thanks to the author regarding their receipt of the book: ". . . it was kind of you to take the trouble as you did. . . .". S.M. Thompson is a former resident of Ireland; Rock Me is her poignant call for peace "amidst the bricks, bottles, and petrol bombs" of Ireland and Britain. George D. Stewart will appear on WYMT-TV's Mountain News Morning Show on Thursday, March 2, 2006, to promote his anthology Voice of the Hills: Poetry and Prose from the Eastern Coalfields. WYMT-TV is broadcast on channel 57 in Hazard, Kentucky. The Mountain News Morning Show airs from 5:30 to 7:00 AM. Annie Harmon’s evincive novel, For Sarah, is a finalist for the Writer’s Marketing Association’s Fresh Voices 2006 Book Award. For Sarah is the story of six courageous sisters who must leave home –and one another- in order to survive. For further news and information, please visit http://www.wmaconnect.com. Wendy C. Wilson, author of The First Book of Red, was interviewed on BBC Radio Essex. The interview was 25 minutes long, and Ms. Wilson spoke about her book, as well as the sequel, The Second Book of Red (currently in text production) as well. Sound Off welcomes PA author, George Wilder, February 14th, to the show. Previous guests include AJ Rodriguez, John Keohane and David Rosenberg. Furture guests include Betsy Gallup and Rhonda Moats. All topics are up for discussion including marketing ideas, published books, political debates, parenting tips, and more! Shows can be heard LIVE on Tuesdays 7ET or on demand at www.globaltalkradio.com . Tune in. Stories, guests, and letters are always welcome! Forever Moments by David Lewis was nominated in the Poetry category for the Library of Virginia Literary Awards. Maker’s Mark, a smooth Kentucky Bourbon, named one of their barrels in honor of Nita Clarke’s book, Mint Julep (Day One) as Told to Gracie Buckhalter­a joyful, witty recountal of how Canada’s Alexandra Menard met and subsequently married into New Orleans’ proud, wild, and brazenly eccentric LaPierre family. February 2006, Houston, TX: Neiman Marcus will host a book signing for Connie Reeves Cooke’s Fade to Dark--a deliciously seductive page-turner about duplicity, fame, and the elusory motives of those who orchestrate empires. The American Author’s Association has given PublishAmerica title, Unscrambled Eggs by Nadia Brown, its highest rating--five stars. Ms. Brown's book has also received the Poetry Book of Merit Award for 2005. A copy of the AAA review can be seen in PublishAmerica's online bookstore. Sky-High Flames by Unoma Nguemo Azuah has won the award for National Best Novel by an African-Born Writer. The award will be announced today in the February 2006 issue of the Urban Spectrum Newspaper in Denver, Colorado. Back Words and Forward by Anthony Liccione was featured this week in the Poets of the Week section of the PSH Bookstore. It can be viewed at PoetrySuperHighway.com. Merilyn Kennedy, author of My Enemy, Myself, was featured on NBC 10 News on January 25, 2006. The interview, in written form, can be found at www.turnto10.com. In connection with their show, Open House, Claudia Sintigo, Producer of CNN America, has contacted PA author James S. Alten. Mr. Alten wrote What You Must Know Before You Buy A Home Security System: Essential Knowledge from an Industry Insider. Representatives from the Toronto Ethics Roundtable are proud to announce that Marina Radovanovic will be speaking at the Toronto Ethics Roundtable on Tuesday, April 11th. Ms. Radovanovic will appear at the roundtable to share her book, The Noble's Pauper Children. The Winds of Autumn by M. Jean Pike has been favorably reviewed in the up-coming February, 2006 issue of True Story magazine. Jason Schomas, the Director of Television at a company called Pier 3 Entertainment, has contacted PublishAmerica about possibly placing a PA book into a TV show or movie as set dressing or a prop. This would be done gratis as a favor to the Author. Mr. Schomas has been granted permission to place 10 copies of Mandy Schomas' What to Do When You're Twenty-Two on TV shows and movies. The book may show up on a desk or coffee table, or maybe an actor may just happen to be reading it (out loud, or not) during a scene. Former Ravens Defensive End, Michael McCrary was at ESPN Zone in Baltimore on Friday, December 9th from Noon to 2pm signing copies of the book, "Because They Said I Couldn't! Motor Man - The Michael McCrary Story." 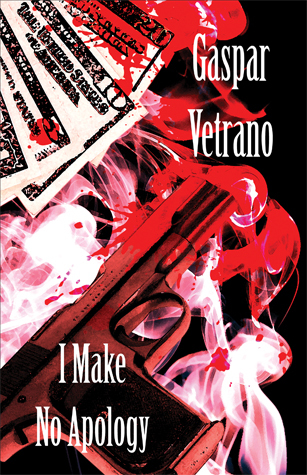 The book is written by PublishAmerica author Jerry Pivec. The event was made possible by Barnes & Noble, which had ordered hundreds of copies for the occasion. Sonja Heinze Coryat's book, Sunny, Ward of the State: Calamity Strikes a Family During the Great Depression, has been selected by the School Library Journal as one of the Best Books of 2005. Coryat's book was one of 21 titles in the Adult Books for High School Students column selected by Trevelyn Jones, Luann Toth, Marlene Charnizon, Daryl Grabarek, and Joy Fleishhacker of the School Library Journal. Publish America author Angelo Saverino has announed that his novel, The Seven Turns of the Key (currently in production), is presently undergoing a screen play adaptation. A major New York independent production company has agreed to begin filming sometime in mid-2006. The project will be filmed in and around New York City as a Screen Actors Guild project, using recognizible named actors. This is Mr. Saverino's second PA book, his first The Heart of the Order is scheduled for publication in early 2006. Which has also created interest by several production companies, associated with HBO Films. Trash Talk by Dave & Lillian Brummet has received an environmental award by the Recycling Council of British Columbia: The Journalist and Media Educator Recognition Award- In recognition of outstanding use of various media in ongoing outreach work to reduce waste in our environment. Major League Baseball's Houston Astros have agreed to feature Little League Heaven by Richard Wagner at a promotional event during one of next season's games. Niccolous Thompson author of the book Hypnotherapy For Children has been nominated for the Hypnosis Hall Of Fame Award for the year 2005! Additionally, in July 2004 he received the "Guidance Counselor Of The Year Award" from the International Hypnosis Federation. Dene Hellman and Annie O'Dell, authors of Swirls On a Green Plate, have received a thank you note from Mrs. King's Assistant, Dora McDonald, thanking them for Mrs. King's copy of their book. Jonathan Decoteau, author of Sing Of The High Country, won the Writers Notes Book Award in the category of general fiction. The famed writer E.L. Doctorow won in another category (legacy) for Lamentations 9/11, which he co-wrote. As part of the prize, the win will be mentioned in an upcoming edition of their magazine. Maggie Cottrell's book, The Torrid Zone,is mentioned in the debut fiction foresight article scheduled for the May/June issue of Foreword Magazine. The Canadian Airforce did an excellent article on Rob Sargeant's book, Lost Ark Found. The article can be found on their national website. Vincent Saccardi, author of Hilton Head: A Zack Dawson/Lisa Sheffield Novel, was interviewed by Bob and Sheri Show 107.9 TheLink, a nationally syndicated show with over ten million listeners. The Story of the Innkeeper's Son by Toni Lamparter Mabry. Mr. Flockhart states: "The idea behind this novel is fascinating. You will not be able to put this book down as you get caught up with the characters and hold your breath to see what is going to happen next. I recommend this book wholeheartedly!" Kelli G. Deister, author of Embracing the Storm: Jewels for Victims of Domestic Violence has received a card signed personally by Mrs. Laura Bush, thanking her for the copy of her first book. Secondly, Ms. Deister has received a personal letter from the Mayor of Honolulu which included a review of Embracing the Storm.Additionally, Kelli has received a personal letter from the Lt. Governor's wife, Vivian Aiona, acknowledging her first book, with a short review of it as well. Uri Geller, known for using mass psychology to bend spoons and forks in front of worldwide TV, reviewed Jill Divine's book Anjoy-God's Gifts. Geller states, "[Anjoy-God's Gifts] is a tremendous read, it is almost prophetic in nature and very real, there is a powerful message and a profound one too in the enjoyable story line, it could easily become a fantastic film! Patsy Wood Smith, author of Artificial Turf: Things Are Not Always What They Seem! was recently featured in USA Today as a member of the All-USA Teacher Team for 2005/2006. Her feature story ran just before Christmas! "I LOVE EVERYONE!!!!! I appreciate your ability to communicate your thoughts…and do it well!!! Keep up the good work….I’m sure your friends and family are so proud of you and proud for you that you’ve published your work." Randy Kington, inspiring author of the gripping autobiography What a Life: How the Vietnam War Affected One Marine, recently visited paralyzed veterans at the Tampa Veterans Hospital in Tampa, Florida. Each veteran was given a gift bag that included items such as tee shirts, socks, headset radios, and a copy of Mr. Kington's novel. What a Life is the riveting recountal of the author's service in Vietnam and subsequent life-altering injury. Randy Richardson's Lost in the Ivy won the Writer's Marketing Association's Fresh Voices 2006 Book Award in the mystery/suspense/thriller category. Lost in the Ivy is the gripping tale of a partial-amnesiac reporter who might -literally- kill for his story. Please visit http://www.wmaconnect.com for more details. Brilliantly compelling Rhode Island author, columnist, and reporter Meri R. Kennedy announces several forthcoming book signings for her autobiography My Enemy, Myself­-an acute portrayal of the author as a child victim of sexual abuse and her subsequent struggle to reconcile the past with the present. Representatives of the Sexual Assault and Trauma Resource Center (www.satrc.org) will join Kennedy for the following book signings: March 11, 2 PM, at Borders in Cranston, RI; March 16, 7 PM, at Borders in the Providence Place Mall, Providence, RI; May 27, 2 PM, at Barnes & Noble in Warwick, RI. To celebrate "Women's History Month" in March, PA author Rose Bush, of Falling Blossom, will discuss her book and the aspects of writing historical fiction at the Brookville Library in Brookville, Indiana. The event will take place on March 7, 2006 at 6:30 p.m.
Several PublishAmerica authors will gather on two upcoming days for two large book signing parties in Florida. The first party, to be held on April 7, 2006 at a Barnes & Noble bookstore, will include the following authors and their works. (currently in cover design), will be ready by that date. It's Your World, Black Girl! According to Ms. Chamberlain, the goal of each of these PA authors, as well as the few not here named who will be joining them, is to "take our books on the road, like a traveling book signing party and push PA and let everyone know what an awesome company PA is." James S. Alten, author of What You Must Know Before You Buy A Home Security System: Helpful Hints from an Industry Insider, has confirmed that he will be interviewed on CNN's Open House program this Saturday, January 28, 2006 at 9:30 a.m.
Allbooks Reviews announced the winners of their 2005 Editor's Choice Awards for the categories of Fiction, Children's, Poetry, Inspiration, and Memoirs. PA author Ken Ramirez' title, Beyond the Red Mountain, was awarded the Editor's Choice award for Children's books, while Dance Interrupted by Jean Sydney Blomquist, another PA author, was the runner-up in the Inspiration category. Antoinette Gentile, producer of The Lou Gentile Show, requests that any PublishAmerica authors of paranormal or haunting-based works contact her for possible interviews on the show. The Lou Gentile Show, a nationally syndicated radio show, airs Monday through Friday, from 8 p.m. to 10 p.m. eastern time, and is based in Philadelphia, PA. The show airs on United States AM Radio Stations, TELSTAR 5 Satellite Audio, Cell Phones, WiFi Networks, and on the internet. Interested authors should visit LouGentile.com for more information. Linda Sommer Farley's novel, A Childhood Taken Away by a Mother and Grandfather is the February 2006 Featured Book at WomensSelfEsteem.com. Earlier this month, a representative from WomensSelfEsteem.com posted a copy of their review in PublishAmerica's online bookstore for Ms. Farley's book. When Jerry Minchew, author of Knighthawke, saw Clive Cussler's name on his website guestbook, he did not believe his eyes. He checked Mr. Cussler's official website, found the e-mail addresses for contacting Mr. Cussler were the same, and sent the bestselling novelist a message. Cussler praised Mr. Minchew's book, saying that it was a "good job for a first time author." God's Word to Women, a gender equality website, has published an article, recommending Leslie and Gary Johnson's book, Does God Really Prefer Men?. The site administrators have offered to feature a chapter of the Johnsons' book on their website, to promote sales, which according to Ms. Johnson, is good. "They get over 4,000 hits a week," she says. N.S. Diaz, author of The Song that Was Never Written: A Book of Poetic Thoughts, received the Editor's Choice Award from The International Library of Poets for her poem "Gardens of Heaven." The poem, a dedication to the September 11, 2001 tragedy, was chosen for the award from 54,000 other 9/11 poems. Sheridan Claude, author of Across Time, Across Tears (still in production), has been hired by Last Act Studios, Inc., an independent film company, to write their screenplays. Mr. Claude co-authored their last film, which made it into the top five of the 2005 San Antonio Christian Film Festival. Over 140 international films were submitted, both amateur and professional. Beverly Reid, author of Kingdom Principles: Just in Case We Have to Live Here Longer than We Planned, will be interviewed on a television ministry in January 2006. Ms. Reid's book will also receive some screen time. Absolution: The Ted Roth Story by Edmund Hulton has been turned into a screenplay by a NYC Screenwriter, Doug Klozzner. According to Mr. Hulton, Mr. Klozzner loved the book and asked if he could write the screenplay. The script is currently under review by a number of Hollywood and one NYC production companies, not the least of which is: BENDERSPINK, The 7th Floor, LEO FILMS,Tri-Hughes Entertainment Group Brighton Coast Entertainment Ltd., Pretty Dangerous Films et al. Co-Authors Victoria Grossack and Alice Underwood continue to enjoy major successes with their book Iokaste. Late last year, PublishAmerica sold the Greek rights to Kedros Publishers, one of the top 5 Publishing Houses in Greece. Known for their dedication to quality literature, Kedros was quick to add Iokaste to their title list. Following glowing reviews by the Midwest Book Review and Kirkus Discoveries, Associated Press writer Mary Campbell found that Iokaste is a "well-written book, about an intelligent, observant and questioning woman to whom big events happen, is riveting." The United States Holocaust Memorial Museum has decided to purchase copies of Thaddeus Mouskin - An Eventful Life by Kelly Gregg to be carried in their museum shop. Mr. Victor Rivers (The Mask of Zorro, Distinguished Gentleman) has invited Hope Fields' author of Journey to the Magical Places of the Heart to place a link to her website on his personal website. Mr. Rivers is the spokesperson for the National Network to End Domestic Violence. Pass Through the Window by D Rae has been accepted to be included in the Reagan Presidential Library within the Alzheimer's wing. Director and author, Clive Barker, acknowledged receiving his copy of Calvary: Hell's Seed by Theodis Moore Jr. and replied with a generous letter and autographed photo. Zimmerman's Tefillin by Ronald Pies, has been annotated as part of a "Literature and Medicine" course at New York University, taught by Dr. Jack Coulehan, a published poet and professor of Medicine. Entries received before or after those dates will not be considered for the contest. Entries must be 1000 words or less. There are no restrictions as to the style of writing or whether it is fictional or not. There will be a 1st, 2nd, and 3rd place winner. Author/illustrator Robert Barry(Mr. Willowby's Christmas Tree) designed the cover illustration for J. Porter's forthcoming book, Coco Twain Tells the Truth. Liz Morehouse received a letter from California's First Lady Maria Shriver, thanking her for the copy of her book, I'm Just a Mom. Ms. Shriver writes, "Being a mother is a job that takes a big heart, filled with courage to do the work of raising children. I am so proud to be a mother, and I can see that you are too through your remarkable book. Again, thank you - especially for telling your story about the often overlooked hardships and devotion of mothers. It is truly an inspiration!" Jamie Farr taking PA to Hollywood Squares! Gary D Buck, author of Windows of The Heart received a letter from Mayor of New York thanking him for his book and wishing him all the best. Mayor Bloomberg reflected on the poem The Nation Cried written for 09/11/01. Michael Streed, author of SketchCops: True Stories From Those Who Draw the Line Against Crime, has appeared on Court TV. Michael Streed has worked on many cases, including the murder case of 5-year-old Samantha Runnion over the last 27 years.